Romney describes anti-Wall Street protests as "class warfare"
THE VILLAGES, Fla. - Republican presidential frontrunner Mitt Romney on Tuesday compared the current anti-Wall Street protests to "class warfare." "I think it's dangerous, this class warfare," Romney said to an audience of about 50 people in response to a question about the protests over such issues as high unemployment, home foreclosures and the 2008 corporate bailouts. He made his remark while greeting members of an overflow crowd that was unable to get into his official appearance before a larger group of about 300 at this central Florida retirement community. The Wall Street protests, organized by a confederation of progressive groups, have spread beyond New York to other cities, including Chicago, Los Angeles and Boston. Two groups also have announced plans to set up an encampment in front of the White House as well. During Romney's appearance at the retirement community in Florida, the former Massachusetts governor also took a shot at one of his rivals, Texas Gov. Rick Perry, for Perry's controversial likening of Social Security to a Ponzi scheme. "I happen to think to fix Social Security, you have to believe in Social Security and I do and I will fix it," Romney said. " ... I don't think the major problem is Social Security becoming a Ponzi scheme, I think the major problem is keeping it from becoming a Perry scheme." For the most part, however, Romney, stuck to usual strategy of concentrating his fire on President Obama. Referencing Obama's 2008 campaign slogan, Romney said, "We've gone from 'Yes we can,' to 'Gee, I'm sorry, we can't." As he did at his last Florida town hall two weeks ago in Miami, he praised former Florida Gov. Jeb Bush when speaking about education. He said he and Bush have talked about Bush's Florida policy of testing students as a way to see if teachers and schools are failing. Bush recently made headlines for defending Perry on his position to give tuition breaks to children of illegal immigrants in Texas, a stance of Perry's that has drawn criticism from conservatives. 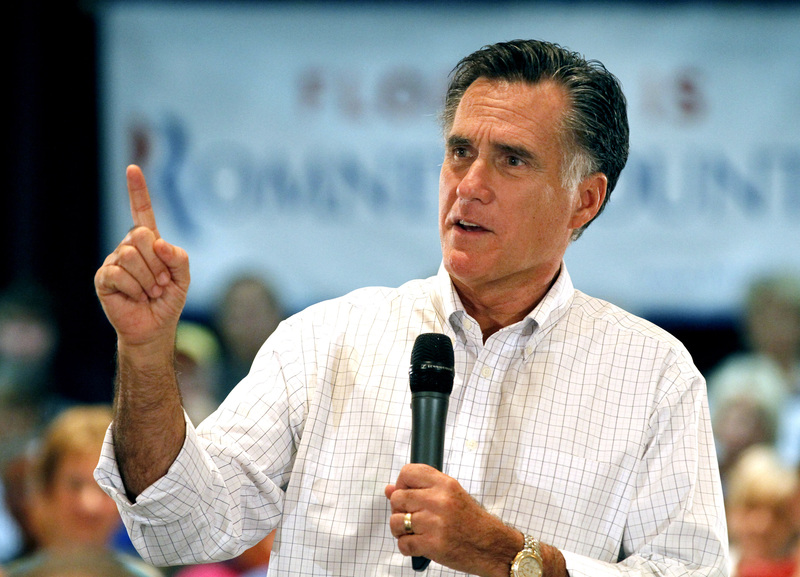 Romney sought to empathize with the audience over the recent slew of GOP presidential debates. Responding to a question from a man who asked him to help him make sense of the debates, Romney lamented that the candidates have almost no say in how the sessions are run. He also said he believes too many have been held already, and that they have become repetitive. "You're going to be calling your stations and saying, `Please return to your regularly scheduled programs!'" he joked.